On April 10, 1954, this writer was born in San Francisco (she turns 60 this week). Her father was a full-time writer and an avid reader, and she acquired both passions at an early age. As a second-grader, she was thrilled when one of her poems won an award in a statewide poetry competition and was later published in a mimeographed anthology. She struggled with a host of problems during adolescence, but continued to dream of a literary career. She dropped out of college at age nineteen, hoping to write the great American novel, but ending up instead in a variety of low-level jobs. She continued to force herself to write almost every night for the next few years. And then, at age twenty-three, her father was diagnosed with brain cancer. He told her to pay attention during his illness, and also to take notes, adding, "You tell your version, and I am going to tell mine." He ultimately became too sick to write his own story, but three years later, she published Hard Laughter (1980), a novel based in part on his illness. Her father died a year before the book was published. In 1986, she became a highly unconventional born-again Christian (liberal, feminist, and pro-choice), got clean and sober, and began to take her life and career more seriously. OUR MYSTERY AUTHOR WITH OPRAH WINFREY. In 1993, she achieved her first commercial success with Operating Instructions: A Journal of My Son's First Year. 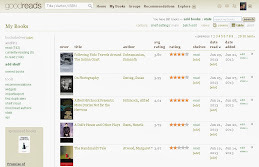 A fiercely honest and occasionally very funny memoir about life as a single mother, the book had a modest initial press run of 7,000 copies, but became a surprise bestseller. 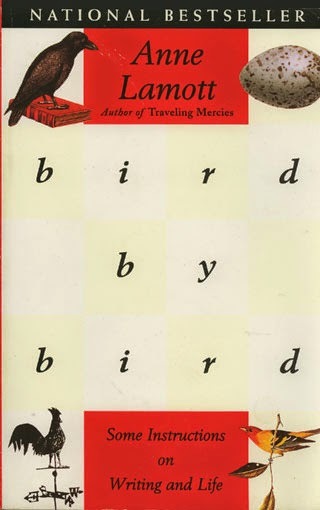 In 1994, she wrote another bestseller, Bird by Bird: Some Instructions on Writing and Life. I received it as a gift many years ago, and it continues to be one of my favourite books. 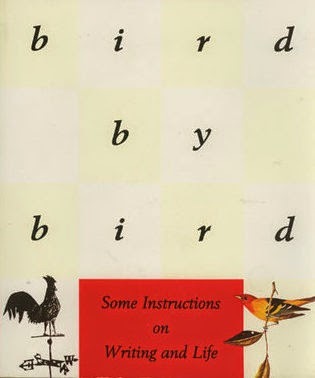 Like her earlier Operating Instructions book (and her many later ones), Bird by Bird is filled with disarming self-revelations and charming self-deprecating humour. show up and try to do the right thing, the dawn will come. A copy of this highly useful book, which is filled with practical advice, has been placed in the Commits library. To know more about the good Dr Mardy Grothe, check out this post: "It all depends on the telling, sure. But surely who does the telling matters?"